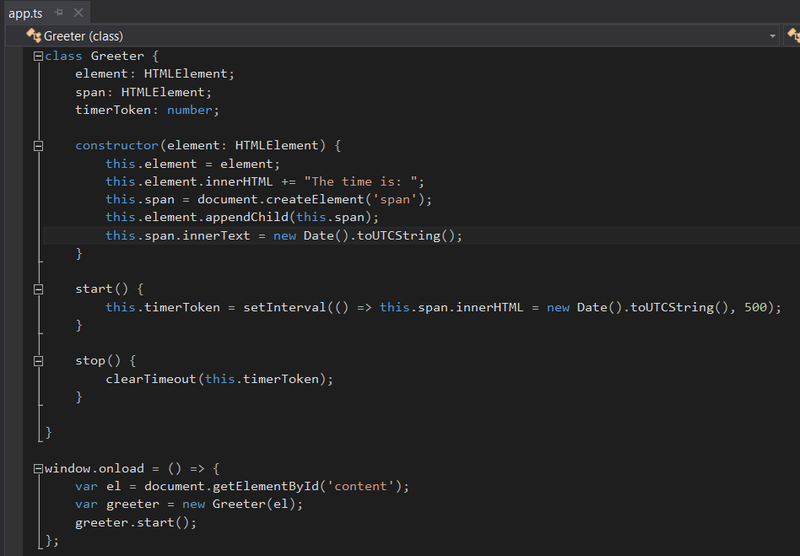 In this post we are going to discuss about TypeScript development with Visual Studio. We are going to show you how to get started with TypeScript by plugging it into Visual Studio 2013 and how you can create a project from scratch and start developing TypeScript Applications. To develop TypeScript Application in Visual Studio you need to install TypeScript 1.4 for Visual Studio 2013 plugin. According to TypeScript 1.4 for Visual Studio 2013 this is a standalone, power tool release of TypeScript 1.4 for Visual Studio 2013. It includes both the TypeScript experience for Visual Studio and a standalone compiler that integrates with the Visual Studio experience that can be used from the command line. After installing the latest version you will have an option to create a new HTML Application with TypeScript.